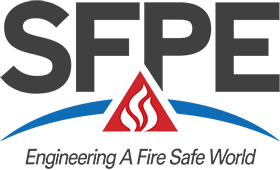 The SFPE (Society of Fire Protection Engineers) is an international professional society representing those practicing in the field of Fire Protection Engineering. The UK Chapter is an Affiliate Chapter of the SFPE. All members are welcome to come to an executive meeting to see what we do and find out if you would be interested in participating on the executive. Please contact the President to be informed of the next executive meeting. If you would like to actively participate in the executive we are always interested in volunteers. Elections are undertaken at the September AGM every two years. Eligible members will be emailed regarding the voting process prior to the next election. In addition to the executive committee, the UK Chapter is also part of the SFPE European Chapters Coordinating Group (ECCG). UK Chapter members are encouraged to participate in the biannual European Conference and regular ECCG meetings. SFPE’s mission is to define, develop and advance the use of engineering best practices; expand the scientific and technical knowledge base; and educate the global fire safety community in order to minimize fire risk. Hoare Lea is an award-winning firm of consulting engineers specialising in fire, mechanical, electrical and environmental engineering. Hoare Lea are proud to sponsor the SFPE UK Chapter website.